On December 7, 1941 Japanese naval aircraft suddenly attacked the United States Pacific fleet and American military installations at Pearl Harbor on the island of Oahu in Hawaii. The next day President Franklin D. Roosevelt went before the US Congress and asked for a declaration of war against the Empire of Japan. Immediately following this “day of infamy” -- when America was thrust into World War II and nearly 3,000 Americans, including civilians, were killed -- all across the USA citizens volunteered to defend their country. In Waterloo, Iowa shortly after Pearl Harbor, five brothers enlisted together in the US Navy. 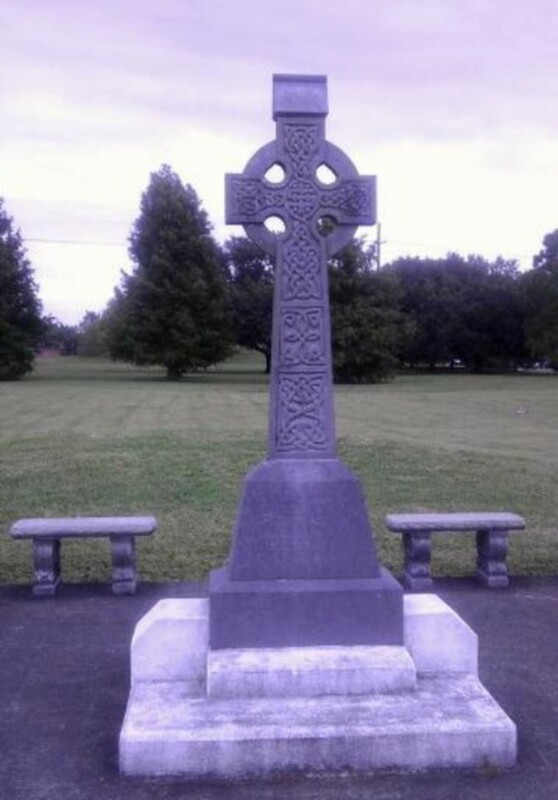 They were Irish Catholic Americans whose last name was Sullivan. (The name “Sullivan” comes from the Irish Gaelic word “Suileabhain.”) The brothers were George, Francis, Joseph, Madison, and Albert … Sullivan ...The Fighting Sullivans. Their mother, Alleta, and their father, Tom (whose grandfather was from Ireland), and their sister, Genevieve, were naturally apprehensive but still proud of the five brothers for wanting to serve their country. Their family personally knew at least one of the sailors who was killed on the USS Arizona during the Pearl Harbor attack. The brothers wanted to serve together, and they got their wish. They were assigned to a light cruiser called the USS Juneau. The Japanese had not only attacked Pearl Harbor but had also overrun most of the Western Pacific Ocean and its islands and much of east Asia including the much of China, Malaya, Singapore, Hong Kong, the Dutch East Indies (Indonesia today), the Philippines (where they defeated an American and Philippine army), and threatened Australia and India. The Japanese war machine was on the march, and it appeared that nothing could stop it. To make matters far worse, the victorious Japanese were in alliance with Nazi Germany which was in the process of conquering most of Europe and North Africa. Adolf Hitler declared war on America only a few days after the Pearl Harbor attack. The Japanese planned to take Midway Island next as a prelude to a possible invasion of Hawaii itself, but their naval forces were defeated at the Battle of Midway. Their next plan was to stop the American supply route by sea to Australia by using an important airfield on the island of Guadalcanal in the Solomon Islands north of Australia. Japanese airplanes from that base could attack American ships going to Australia and the South Pacific. In response, the US Marines were sent in to take the airfield at Guadalcanal. In August 1942 the Marines landed, took the airfield, and established a base. But immediately the Japanese counterattacked with naval, air, and land forces. This six month long struggle for possession of Guadalcanal became the turning point of the war against Japan, along with the American naval victory at Midway. The key naval battle which ended Japan’s hopes of retaking the island was called the Naval Battle of Guadalcanal which occurred in November of 1942. During this battle which had different parts over several days, fierce fighting occurred between surface ships firing their guns typically at night. 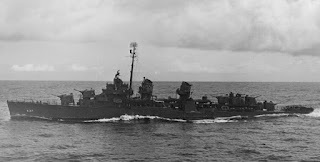 During the Naval Battle of Guadalcanal on November 13, 1942, the USS Juneau, with The Sullivans onboard, was hit by a torpedo. The American ship was damaged, but did not sink. It sailed away damaged trying to make the US base at Espiritu Santo, an island to the east, along with several other US ships which had reinforced the Marines on Guadalcanal. But en route it was attacked again and hit near its ammunition magazine by a torpedo from a submarine. This time the Juneau exploded and sunk. Many men died instantly from the attack; but some survivors, around 100, were left in the water. For a number of reasons, a search was not made for several days. A PBY Catalina flying boat reached what was left of the 650 crew members -- only 10 survivors -- eight days after the USS Juneau sunk. The survivors told a tale of horror as the men in the water died of thirst, injuries, delirium, various illnesses from exposure … and shark attack. Then the news of the five brothers came. 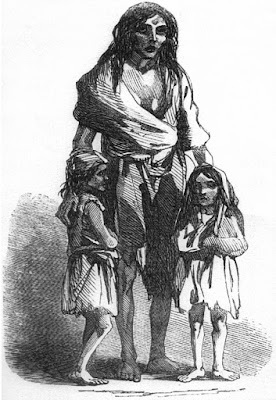 Francis, Joseph, and Madison were killed in the torpedo attack. Albert drowned in the ocean the day after the attack. George stayed alive somehow for about four days. He was on a raft, it was said. It is unclear exactly how he died. Some say it was the result of exposure to the perils of the sea, but others say the horror of the attack plus the knowledge of the loss of his brothers brought about his death. He simply disappeared in the water. 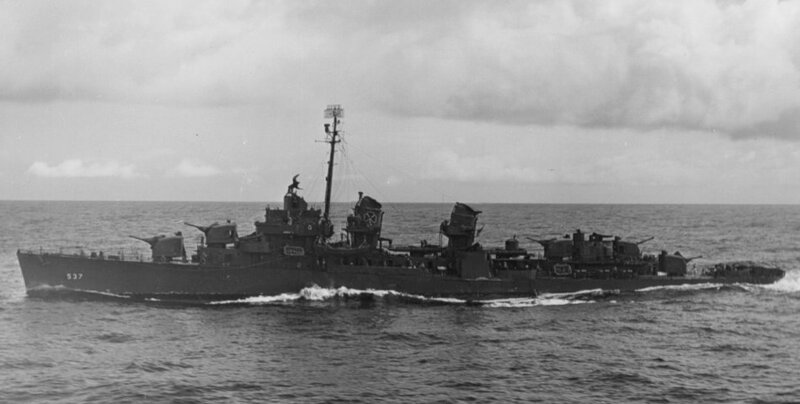 The Americans won the Naval Battle of Guadalcanal and stopped the Japanese advance in the Pacific. This victory led eventually to a long campaign westward which resulted in total victory over Japan. The attack at Pearl Harbor was avenged. But it came at a terrible cost. Like the thousands upon thousands of parents and loved ones who had to be told of the loss of a son or loved one, Aletta and Tom Sullivan received the dreadful news as well. For them, however, it was not a son who died -- it was all five of their sons who died … and they died together. President Franklin Roosevelt sent the grief-stricken parents a personal letter of condolence. The pope, Pius XII, sent the parents a religious medal, a rosary, and personal letter. The Fighting Sullivan Brothers were now national heroes, but the terrible tragedy was beyond description. Tom and Aletta, despite their grief, helped the US Navy and the USA in war bonds drives. Genevieve served in the US Navy in the women’s corps called the WAVES. 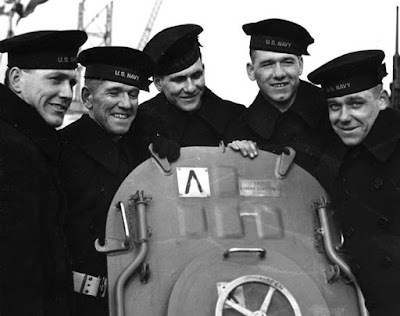 The Sullivan brothers were descendants of Ireland; but they gave everything they had, including their lives, defending the United States of America. They were American heroes. 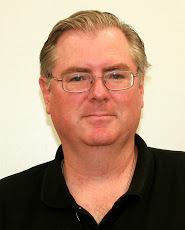 The American Heritage Picture History of World War II by C.L. Sulzberger, American Heritage Publishing Co., 1966. 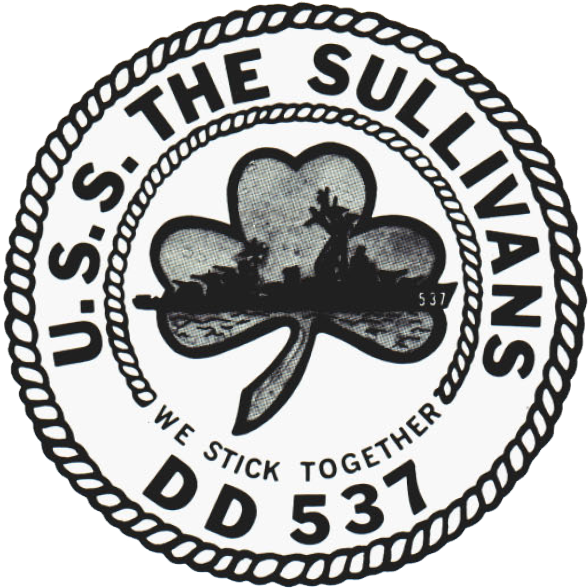 Federation of American Scientists website’s article “Origin of Ship Names: The Sullivans” at https://fas.org/man/dod-101/sys/ship/sullivans.htm ; The US Navy website articles “The Sullivan Brothers: Ships Named USS The Sullivans” at https://www.history.navy.mil/browse-by-topic/disasters-and-phenomena/the-sullivan-brothers-and-the-assignment-of-family-members/ships-named-uss-the-sullivans.html and “The Sullivan Brothers: The Loss of The Juneau, (CL-52)” at https://www.history.navy.mil/browse-by-topic/disasters-and-phenomena/the-sullivan-brothers-and-the-assignment-of-family-members/the-loss-of-uss-juneau.html ; ArlingtonCemetery.net whose article on the Sullvans is at http://arlingtoncemetery.net/sullivan-brothers.htm ; and the Wikipedia article on the Sullivans Brothers at https://en.wikipedia.org/wiki/Sullivan_brothers; and Wikipedia article on the USS Juneau at https://en.wikipedia.org/wiki/USS_Juneau_(CL-52) .